This weekend Mexico celebrates the Day of the Dead. A bit like Halloween, the Day of the Dead is an ancient holy-day known largely in the West as an opportunity to dress up, get our faces painted and have a party. At La Boca Loca we love face-painting and parties as much as anyone, and you can expect plenty of that this weekend. More on that below. But we also mark the Day of the Dead in a more traditional way by building an ofrenda (shrine) at the restaurant in memory of our loved ones who have passed. We decorate the shrine with marigold flowers, and with our loved ones' favorite food and drinks. Please feel free to bring your own photos to add to the ofrenda if you come by this weekend. This weekend we'll also be offering the traditional dessert for this holiday: pan de muerto (bread of the dead) with champurrado. Don't miss out! And yes. We also love to party. Day of the Dead Fiesta! We'll also be celebrating Day of the Dead in a less traditional way - joining forces with our friends at Garage Project, Golding's Free Dive and others for the Day of the Dead Fiesta. What: A live music and local food market to celebrate the Day of the Dead. We'll be there with delicious Mexican eats, so come grab a treat & check out the beats. 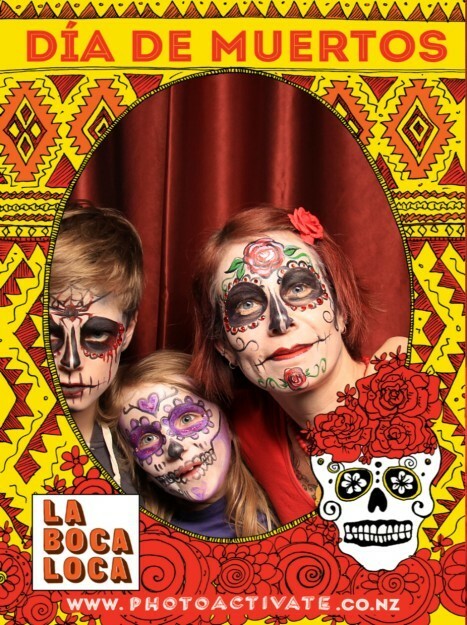 Finally, on Sunday we'll have a family feista to mark the Day of the Dead at La Boca Loca. Hayley from PaintUs will be here from 2:30pm until close painting faces for $5-10 per person depending on complexity. Hayley won best face painter in the world award 2008!! We may convince some of our friends to play some live music, and we'll definitely have food and drinks specials. We're on the hunt for a Marketing Coordinator!